I have spent 9 years exploring 3D Virtual Worlds, and 8 years playing MMORPGs. For the longest time they felt like two different experiences. 3D Virtual Worlds are a creative outlet, while MMORPGs are a mostly cooperative gaming experience. It seems that recently they have been merging. I have not been adding many new virtual worlds to my master list lately. While I am probably missing some, the main reason I have not been adding new ones is because there haven’t been any. This is probably due to good old capitalism. The potential market just isn’t as big as people thought, and the market that is there is covered really well by Second Life, IMVU, and OpenSim. In the last couple of years, the growth in 3D gaming has been in free to play MMORPGs. Not only do they attract a crowd with new gaming experiences, they have co-opted the social model of the 3D Virtual Worlds, creating central meeting places, and free “bases” you can decorate and host private gatherings. They also have special interest groups you can join in game to meet like minded people. Basically, everything that makes 3D Virtual Worlds popular, can now be found in MMORPGs too, except user created content. This is why I now believe that if a complex “Metaverse” like OASIS in Ready Player One is ever built, it is more likely to be in the form of an MMORPG rather than a 3D Virtual World. We then must ask the question: How important is “user created content”? Well, I learned early on during my 9 years of exploring that “content” is vitally important, in fact it is THE most important factor in the success of a 3D Virtual World, and in truth it is also one of the most important factor in MMORPGs, too (“playability” slightly trumps it however). Allowing user created content is the fastest way to get content, but it is a two edged sword, because the vast majority of user created content is junk. That user created content has to be loaded on the fly via asset servers which slows down and weakens the user experience. So if a 3DVW or MMORPG can provide enough “content” without resorting to the user created variety, it is a better experience for the player. On the other hand, creating the “user created content” is in and of itself the thing that attracts many to 3D Virtual Worlds in the first place. It is one of the things I have enjoyed most about Second Life and There.com. The truth is that content creators are seriously outnumbered by both socializers (especially since most content creators are also socializers), and gamers. Now that MMORPGs are working to appeal to both of the latter groups, it is only the content creators who feel that 3DVWs are the better way to go. For everyone else, there is simply more things to do in an MMORPG. As far as “content” goes, competition between MMORPGs is fierce enough that the newest ones are constantly raising the bar on the amount (and quality) of the content they offer. The thing that triggered this post is my exploration of “Lions Arch” in Guild Wars 2. I have posted a lot of reviews of 3D builds, but I would say without question that the new “Lions Arch” is the most beautiful 3D build I have ever seen in any game I have ever played, regardless of genre. It is a true masterpiece of the art form. As I stated in a previous post, 3D Virtual Worlds are in a slow decline. It is the competition with free to play MMORPGs that is doing it. The MMOs are incorporating the stuff that makes 3DVWs popular. If they are to survive, the 3DVWs need to start incorporating what makes MMOs popular. They are just starting to do that. The merging of the two genres seems inevitable. I for one am looking forward to that, because it is only going to get more awesome. Next Article If Date Ariane were redone with the new model, this is what it would look like. Good piece in general, thanks. “For everyone else, there is simply more things to do in an MMORPG.” I don’t think that’s actually true. I mean, compare the number of things there are to do in Diablo III vs Second Life. Even leaving out all content-creation, SL wins by several orders of magnitude. Comparing, maybe more fairly :), a larger-world MMORPG like GW2 to SL, I think SL still wins in terms of sheer numbers of things to do (again, even without counting content-creation). Arguably the things to do are better-organized, or higher-quality, or more appealing (in some sense) in GW2, than in SL, but really I wouldn’t list “more things to do” as an advantage of MMORPGs over 3DVWs. Although it doesn’t have the beautiful graphics that the games you talk about do, what do you think about Minecraft? It has the social aspect, the gaming aspect, variety, and user created content. So I’m curious about your opinion. Like Open Cobalt, Open Wonderland, and Sirikata, RealXtend (http://realxtend.wordpress.com/) has remade itself into an open-source platform developer with their Tundra platform. I think all of these are aimed, not at making a new or competing grid, but primarily for commercial applications for individual companies. That is not to say that someone couldn’t take one of these platforms as a jumping off point for making a new grid that might possibly be a better infrastructure than either SecondLife or OpenSim has to work with. WorldForge used to be known as ‘Altima’, an open source version of Ultima Online. Ryzom Core is the open sourced platform for the game ‘Ryzom’. The two teams have worked together for several years at Google Summer Of Code. 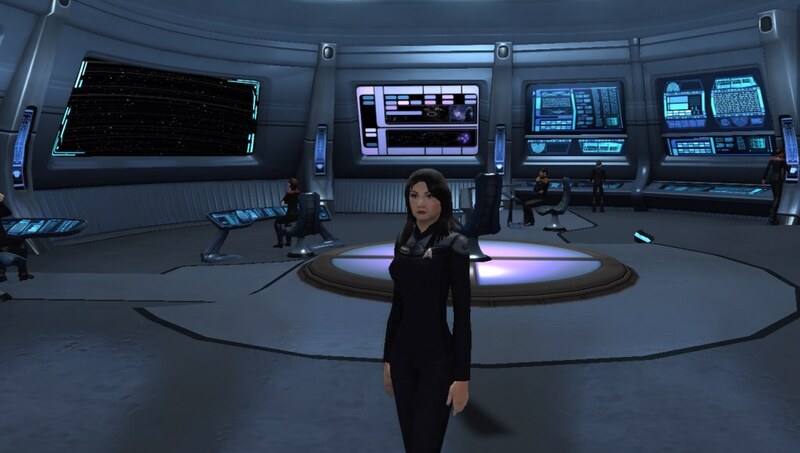 I think you are right about free to play MMORPGs now trying to attract content creators, I seem to recall that Star Trek Online has something called The Foundry where people can create their own stories/quests and share them with other players. Virtual Worlds are not something I have tried since I really wouldn’t create content myself. I’m more of a social gamer. Hey Guys! There’s a awesome new forum that just started for Guild Wars 2 at http://www.GuildWars2Tyria.com – You should all check it out! They may be giving away free copies of Guild Wars 2 in the next few weeks! This is a bite late, but this was a great post and I really enjoyed your perspective on how the two differ. I think they fill separate, but similar niches for me. In world wanders across the SL grid are as varied for me as surfing the web. There is so much diverse content, so many authors and themes, but I generally just get a light sample of many threadsof thought. The gaming experience, in terms of content, is much more akin tp immersion in a more singular author’s novel. A visit into lotro or Eve online is for my more escapist mindset. They’re both so appealing, but it really depends on the mood of the day. The most enduring quality is surrounding the people I meet, that’s great in either venue and totally trumps content.